During the past few decades the spotlight of international concern for the environment humans live and work in has been extended to include military activities. In South Africa, concern for the way the military operate in the environment led to numerous activities and institutional policies geared towards securing sound and sustainable utilization of the vast tracts of land entrusted to the South African Department of Defense and Military Veterans (DODMV). An unanswered question and the research question this paper strives to investigate is: Have these activities and policies indeed secured general environmental awareness and debate amongst the personnel of the DODMV? One of the ways of assessing the level of environmental awareness and debate within a society or organization is to analyze media content to assess the reporting of environmental issues. Content analysis of the DODMV official, printed public media for the period 1994 to 2011 was performed in this study in order to observe and record trends and patterns of environmental reporting in the DODMV, and to gain understanding of the representation of news concerning environmental issues. The results obtained from the study indicate that the debate on military environmental issues in the DODMV is not as consistent and in-depth as can be expected. 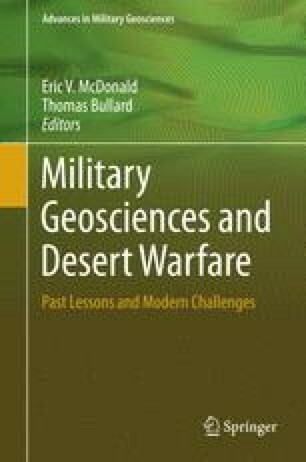 However, the positive tone of most of the articles analyzed indicated a general positive attitude towards military environmental issues. These findings can inform DODMV leadership of their member’s largely positive attitude towards military environmental issues, and should act as a springboard towards building a credible, environmentally conscious DODMV.